Sepiolite: Mineral information, data and localities. White, light gray or light yellow. Named in 1847 by Ernst Friedrich Glocker from the Greek, "sepion," cuttle-fish bone, because of its low density and porous, bone like appearance. Originally named meerschaum by Abrahan Gottlieb Werner in 1788. Later translated as l'Ecume de mer. In 1794, the mineral was called keffekill by Richard Kirwan. Alexandre Brongniart called this mineral magnesite in 1807. 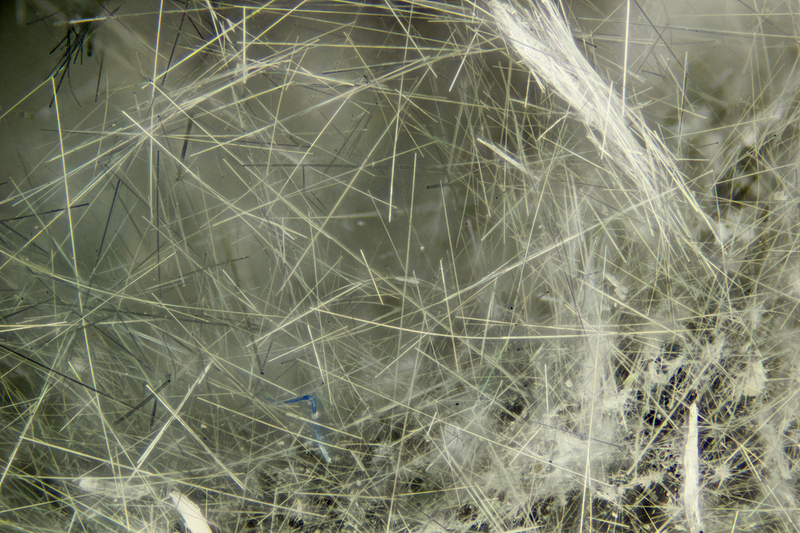 Commonly found as compact masses of microscopic needles resulting in a low-density masses. May be an important constituent of "mountain leather". Free-standing acicular crystals not found in many localities. May be confused with palygorskite. Results of García-Romero & Suárez (2010) indicate that no compositional gap exists between sepiolite and palygorskite. Good, but grain sizes are generally small and no cleavage may be seen. Gunnbjarnite A ferroan variety of Sepiolite. Falcondoite (Ni,Mg)4Si6O15(OH)2 · 6H2O Orth. Loughlinite Na2Mg3Si6O16 · 8H2O Orth. Jasper 6 photos of Sepiolite associated with Jasper on mindat.org. Dolomite 5 photos of Sepiolite associated with Dolomite on mindat.org. Quartz 3 photos of Sepiolite associated with Quartz on mindat.org. Demantoid 3 photos of Sepiolite associated with Demantoid on mindat.org. Amethyst 3 photos of Sepiolite associated with Amethyst on mindat.org. Quinzite Opal 3 photos of Sepiolite associated with Quinzite Opal on mindat.org. Calcite 2 photos of Sepiolite associated with Calcite on mindat.org. Anhydrite 2 photos of Sepiolite associated with Anhydrite on mindat.org. Mountain Leather 1 photo of Sepiolite associated with Mountain Leather on mindat.org. Fluorapatite 1 photo of Sepiolite associated with Fluorapatite on mindat.org. 74.3.1b.2 Falcondoite (Ni,Mg)4Si6O15(OH)2 · 6H2O Orth. 74.3.1b.3 Loughlinite Na2Mg3Si6O16 · 8H2O Orth. Glocker, E.F. (1847) Ordo XIII. Argillitae. II. Argillitae pingues. 15. Sepiolithus. in: Generum et specierum mineralium secundum ordines naturales digestorium synopsis. Apud Eduardum Anton, Halle: 185-195. Brindley, G.W. (1959) X-ray and electron diffraction data for sepiolite. Amer. Mineral., 44, 495-500. Van Olphen, H. (1966) Maya Blue: A clay-organic pigment? Science: 154: 3749: 645–646. Nagata, H., Shimoda, S., Sudo, T. (1974) On dehydration of bound water of sepiolite. Clays and Clay Minerals: 22: 285-293. Rautureau, M., Tchoubar, C. (1976) Structural analysis of sepiolite by selected area electron diffraction—relations with physico-chemical properties. Clays and Clay Minerals: 24: 43. Guven, N., Carney, L.L. (1979) The hydrothermal transformation of sepiolite to stevensite and the effect of added chlorides and hydroxides. Clays and Clay Minerals: 27: 253-260. Post, J.E., Bish, D.L., Heaney, P.J. (2007) Synchrotron powder X-ray diffraction study of the structure and dehydration behavior of sepiolite. American Mineralogist: 92: 91-97. García-Romero, E., Suárez, M. (2010) On the chemical composition of sepiolite and palygorskite. Clays and Clay Minerals: 58: 1-20. Giustetto, R., Levy, D., Wahyudi, O., Ricchiardi, G., Vitillo, J.G. (2011) Crystal structure refinement of sepiolite/indigo Maya Blue pigment using molecular modelling and synchrotron diffraction. European Journal of Mineralogy: 23: 449-466. Sánchez, M., García-Romero, E., Suárez, M., Silva, I., Fuentes-Montero, L., Martínez-Criado, G. (2011) Variability in sepiolite: Diffraction studies. American Mineralogist: 96: 1443-1454. Pristacz, H., Kolitsch, U., Löffler, E. & Knobloch, G. (2009): 1594) Dravit und Sepiolith aus dem Steinbruch Malaschofsky bei Lichtenau, WSW Gföhl, Waldviertel, Niederösterreich. P. 214 in: Niedermayr, G. et al. (2009): Neue Mineralfunde aus Österreich LVIII. Carinthia II, 199/119, 189-236. SIGMUND, Alois (1937a): Die Minerale Niederösterreichs.- 2. Aufl., XI + 247 S., Wien - Leipzig (Deuticke). Steinwender, C., Brandstätter, F., Kolitsch, U. & Niedermayr, G. (2012): 1757) Millerit und Sepiolith sowie Fluorit in mehreren Generationen aus dem Steinbruch Mauterndorf im Lungau. Pp. 160-161 in Niedermayr, G. et al. (2012): Neue Mineralfunde aus Österreich LXI. Carinthia II, 202./122., 123-180.
ⓘ Gasikule salt lake ? Liu, Y., Zhu, Z., Chen, C., Zhang, S., Sun, X., Yang, Z., & Liang, W. (2015). Geochemical and mineralogical characteristics of weathered ore in the Dalucao REE deposit, Mianning–Dechang REE Belt, western Sichuan Province, southwestern China. Ore Geology Reviews, 71, 437-456. Industrial Minerals and Processing 33(12), 8-11 (2003). ⓘ Mali Co (Ni Co; Mani Cuo; Ni Cuo) ? Econ Geol (2004) 99:1197-1213; Lopez-Rendon, J. E. (2015). Geology, mineralogy and geochemistry of the Cerro Matoso nickeliferous laterite, Córdoba, Colombia (Doctoral dissertation, Colorado State University. Libraries). Pauliš, P.: Sametka z Vlastějovic u Zruče nad Sázavou. Minerál, 2002, roč. 10, č. 1, s. 7 – 8. Zikeš J., Welser P.: Nové nálezy minerálů v lomu Vápenný vrch. Minerál, 2011, 19, 1, 9-11. The Quincyte pigments: fossil quinones in an Eocene clay mineral. W.G. Prowse, K.I. Arnot, J.A. Rechka, R.H. Thomson and J.R. Maxwell. Tetrahedron 47, 1991, 1095-1108. K.I. F. Müller: "Bayerns steinreiche Ecke", 2nd ed., Oberfränkische Verlagsanstalt (Hof), 1984; Rost, F. (1949): Contributions to Mineralogy and Petrology 1(5/6), 627-688. Masutomi Museum specimen (Kyoto); 上原誠一郎. (1987). Serpentine minerals from Sasaguri area, Fukuoka Prefecture, Japan. 岩石鉱物鉱床学会誌, 82(3), 106-118. IMAI, N., & OTSUKA, R. (2000). Department of Mineral Industry, School of Science and Engineering, Waseda University, Tokyo, 160 Japan. Palygorskite-Sepiolite: Occurrences, Genesis and Uses, 37, 211. Hay, R.L., Hughes, R.E., Kyser, T.K., Glass, H.D., Liu, J. 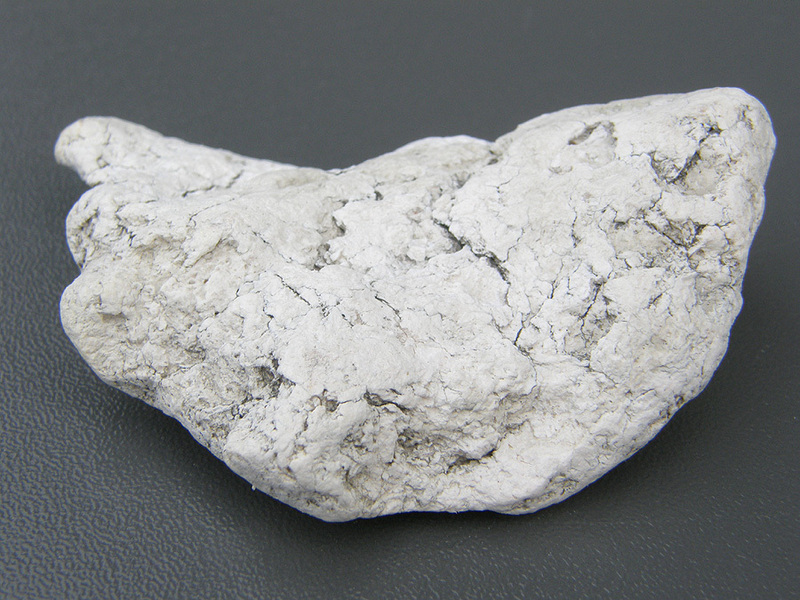 (1995) Magnesium-Rich Clays of the Meerschaum Mines in the Amboseli Basin, Tanzania and Kenya. Clays and Clay Minerals, vol. 43:4, 455-466. Stoessell, R.K., Hay, R.L. (1978) The geochemical origin of sepiolite and kerolite at Amboseli, Kenya. Contributions to Mineralogy and Petrology, vol. 65:3, 255-267. Postl, W., Bojar, H.-P. & Žorž, Z. (2015): Calcioankylit-(Ce) und Sepiolith aus dem "Tonalit"-Steinbruch in Cezlak bei Oplotnica, Pohorje-Gebirge, Slowenien. Der Steirische Mineralog 30, 42. - Calvo, M. (2008). Minerales de Aragón. Prames, Zaragoza, 463 pags. Rodríguez, J. C., Casas, J., Núñez, J. A. M., Rubí, J. A. M., Torres, M. R., Álvarez, A., & Jiménez, S. L. (1994). Heulandita asociada a arcillas-Mg en el yacimiento de sepiolita de Vicálvaro (Cuenca Neógena de Madrid). Boletín de la Sociedad Española de Mineralogía, 17(1), 123-124. Sampson, D. N. (1966): Sinya meerschaum mine, northern Tanzania. Transactions of the Institution of Mining and Metallurgy, Section B: Applied Earth Science 75, 23-34. Echle, W. (1967): Contributions to Mineralogy and Petrology 14, 86-101. Karakaya, N., Karakaya, M. Ç., Temel, A., Küpeli, Ş., & Tunoğlu, C. (2004). Mineralogical and chemical characterization of sepiolite occurrences at Karapinar (Konya Basin, Turkey). 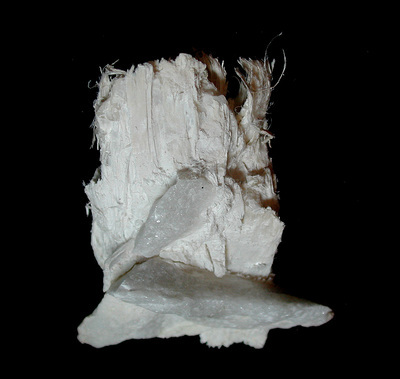 Clays and Clay Minerals, 52(4), 495-509. Anthony, J.W., et al (1995), Mineralogy of Arizona, 3rd.ed. : 358. Anthony, J.W., et al (1995), Mineralogy of Arizona, 3rd.ed. : 366. Anne Seminaris specimen; John Attard PXRD. Anthony, J.W., et al (1995), Mineralogy of Arizona, 3rd.ed. : 366; Kauffman, Jr., A.J. (1943), Fibrous sepiolite from Yavapai Co., AZ, Am.Min. : 28: 512-520; Galbraith, F.W. & D.J. Brennan (1959), Minerals of AZ: 107.
ⓘ Half Dollar Mine ? Hanks, Henry Garber (1884), Fourth report of the State Mineralogist: California Mining Bureau. Report 4, 410 pp. (includes catalog of minerals of California pp. 63-410), and miscellaneous observations on mineral products): 353; Murdoch, Joseph & Robert W. Webb (1966), Minerals of California, Centennial Volume (1866-1966): California Division Mines & Geology Bulletin 189: 334. Hardie, L.A. (1968) The origin of the Recent nonmarine evaporate deposit of Saline Valley, Inyo County, California. Geochimica et Cosmochimica Acta: 32: 1287; Pemberton, H. Earl (1983), Minerals of California; Van Nostrand Reinholt Press: 441. Fleischer, P. (1972) Sepiolite associated with Miocene diatomite, Santa Cruz basin, California. American Mineralogist: 57: 903-913; Pemberton, H. Earl (1983), Minerals of California; Van Nostrand Reinholt Press: 441. Daly, John W. (1935), Paragenesis of mineral assemblages at Crestmore, California American Mineralogist: 20: 638-659; Woodford, A.O., Crippen, R.A., and Garner, K.B. (1941) Section Across Commercial Quarry, Crestmore, California. American Mineralogist: 26: 367; Pemberton, H. Earl (1983), Minerals of California; Van Nostrand Reinholt Press: 441.
; Otton, James K.; Glanzman, Richard K.; Brenner-Tourtelot, Elizabeth F. (1980) Uranium, rare-earth and thorium mineralization at the Hope Mine, eastern Bristol Mountains, San Bernardino County, California. USGS Open file report 80-821. Hewett, Donnel Foster (1956) Geology and mineral resources of the Ivanpah quadrangle, California and Nevada, USGS Professional Paper 275, 172 pp. : 144; Pemberton, H. Earl (1983), Minerals of California; Van Nostrand Reinholt Press: 441. Leo, G.W. (1967) The plutonic and metamorphic rocks of the Ben Lomond Mountain area, Santa Cruz County, California. California Division of Mines and Geology Special Report 91: 41; Pemberton, H. Earl (1983), Minerals of California; Van Nostrand Reinholt Press: 441. Similar samples from identical geology found to be sepiolite via EDS analysis. Januzzi, Ronald E. (1976): Mineral Localities of Connecticut and Southeastern New York State. The Mineralogical Press, Danbury, Connecticut: 185, 224-6.; Januzzi, Ronald E. (1994), Mineral Data Book - Western Connecticut and Environs. The Mineralogical Press, Danbury, Connecticut. Guven, Necip and Carney, LeRoy L. (1979) The Hydrothermal Transformation of Sepiolite to Stevensite and the Effect of Added Chlorides and Hydroxides, Clays and Clay Minerals, 27:253-260. Germine, M.: Environmental Research:42:386-389 (1987); Dunn(1995):Pt4:504. Brindley, G. W. (1959) X-ray and Electron Diffraction Data for Sepiolite, American Mineralogist 44:495-500.